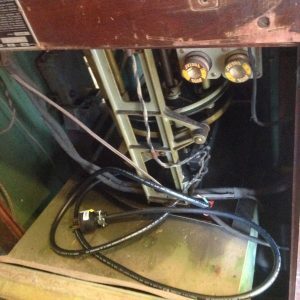 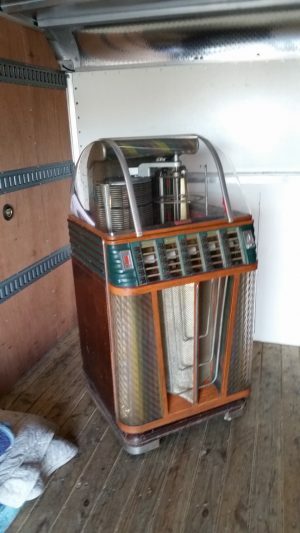 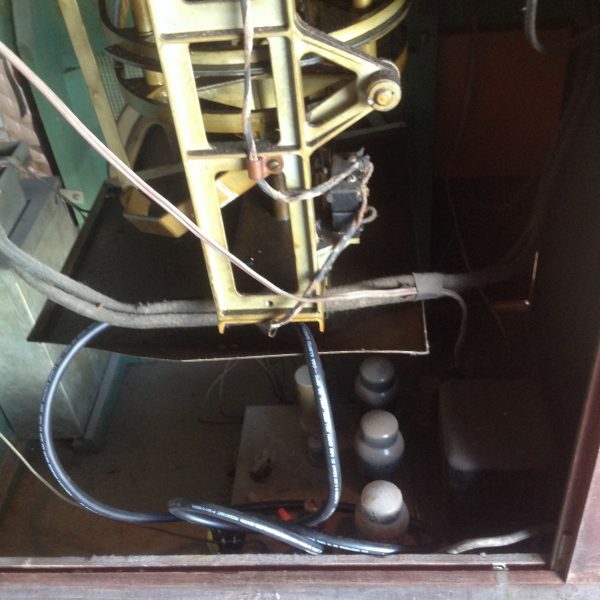 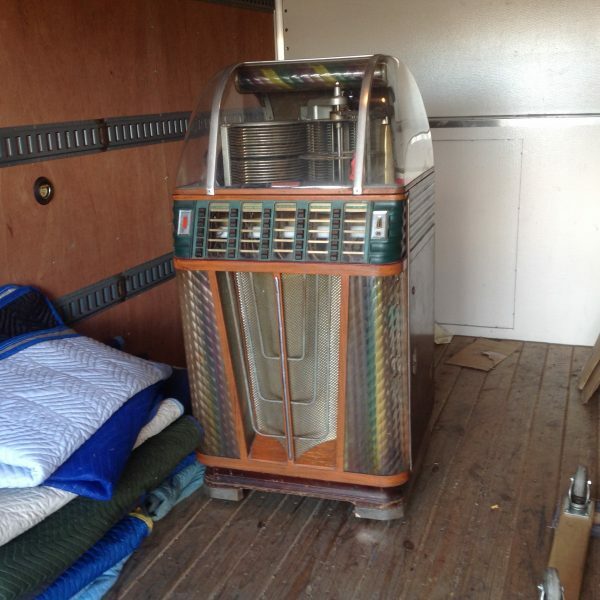 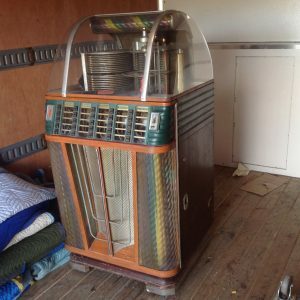 Vintage old 1952 Rockola Super Rocket jukebox in as found condition. 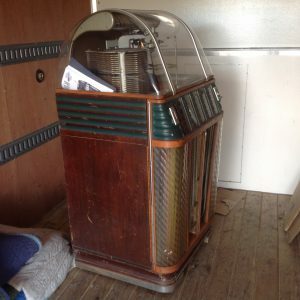 Will need some restoration but look complete with the exception of a piece of missing chrome trim on left side and no coin mechanism. 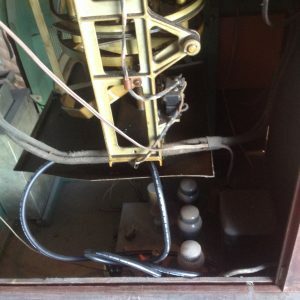 Has not been tested but amp is inside. No cracked plastics. Nows your chance to own a classic 50’s box………….